honorary members of the jury, participants and guests! It is a great pleasure to announce the Third Edition of the "Berliner Festwoche" International Music Festival which takes place in the fantastic capital of Germany - Berlin! With its perfect location, lucrative prizes and world famous professors as members of the Jury - this Festival provides the ideal conditions and atmosphere for all contestants and music lovers! We have a wonderful opportunity to have the legendary cradle of culture „Russisches Haus“ as our competition venue. Moreover we are very pleased to have Maltese Composer Alexey Shor as our Composer in Residence with his timelessly beautiful musical jewels, on the occasion of celebrating Malta's Capital - Valletta 2018 - European Capital of Culture. We wish All the Best to all participants and an amazing time to the members of the Jury, and welcome to Berlin! We are proud to welcome you to the Third Edition of the "Berliner Festwoche" International Music Festival organized by European Foundation for Support of Culture, which is taking place in the capital city of Germany – Berlin. "Berliner Festwoche" International Music Festival within the framework of the “Malta International Music Festival 2018” which is dedicated to Valletta 2018, as this year the Maltese Capital Valletta is European Capital of Culture 2018! 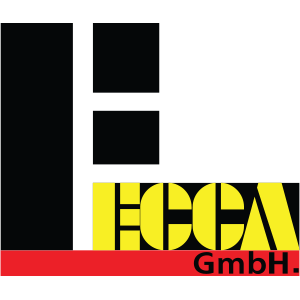 The mission of the European Foundation for Support of Culture through the presentation of the "Berliner Festwoche" International Music Festival is to discover, promote, support and document the great masters of the keyboard emerging in this generation; to rediscover unusual repertoire while providing audiences with a unique musical experience; to build the audiences of the future to help ensure the very existence of classical music. Our focus is to give talents opportunity to exchange knowledge and experience on an international level and thus we are glad to attract pianists from different countries around the world!